High Tech Industries need to make 3D parts in hardened metals, special alloys and composite materials with accurate, high precision cuts. 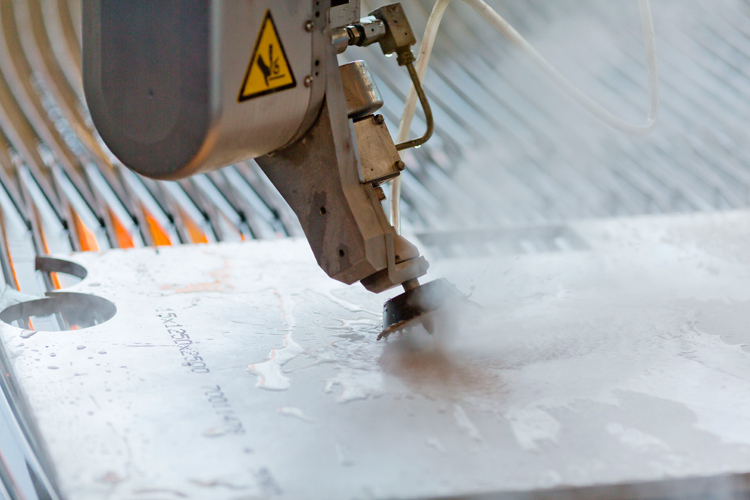 Waterjet cutting technology is often preferred since it eliminates stress in the material and leave the edges without heat effected zones. 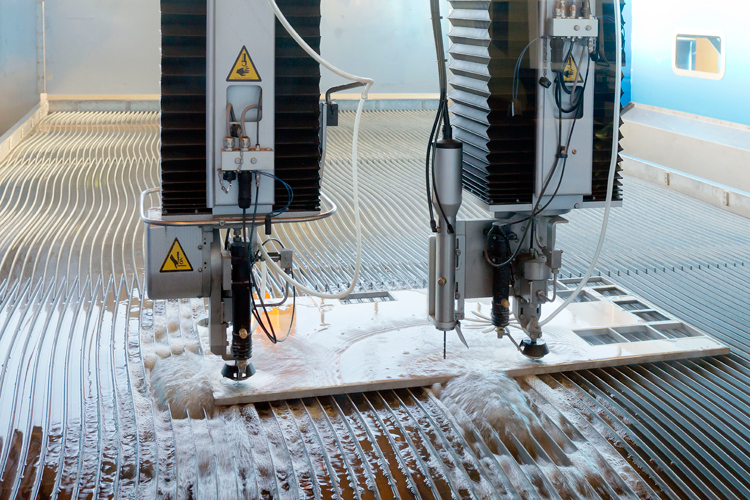 For decades Water Jet Sweden has been manufacturing high precision abrasive water jet cutting systems to leading aerospace, defense and power industries around the world. 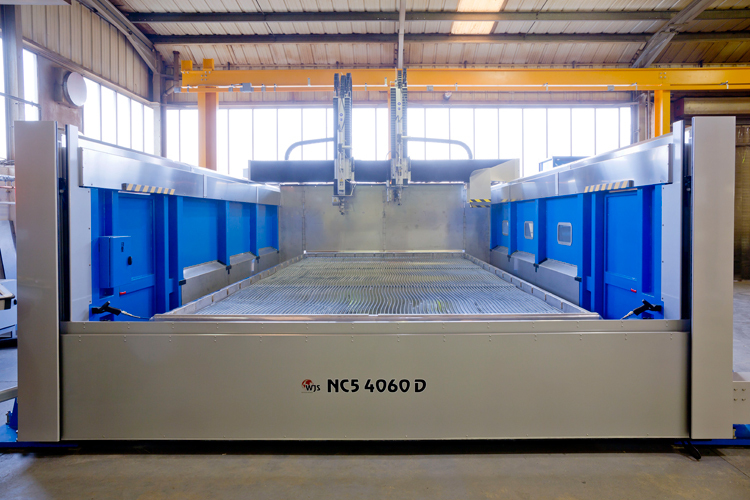 Large-scale 5-axis processing allows the advantages of the waterjet process to be utilized in the finishing of fabricated structures, pressed parts, molded composite parts and other 3-D parts. 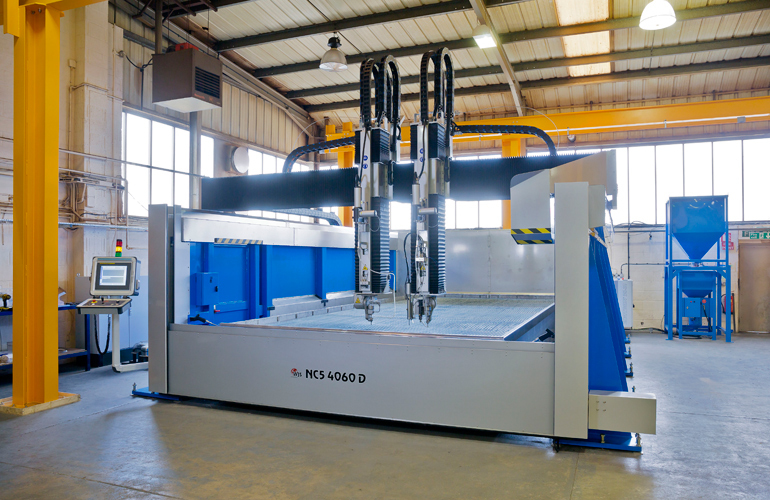 With Z-Axis capacities up to 1000 mm and a generous working area, the waterjet technology has been embraced largely by the Defense Industry, Space Industry, Aerospace Industry and Power Industry. 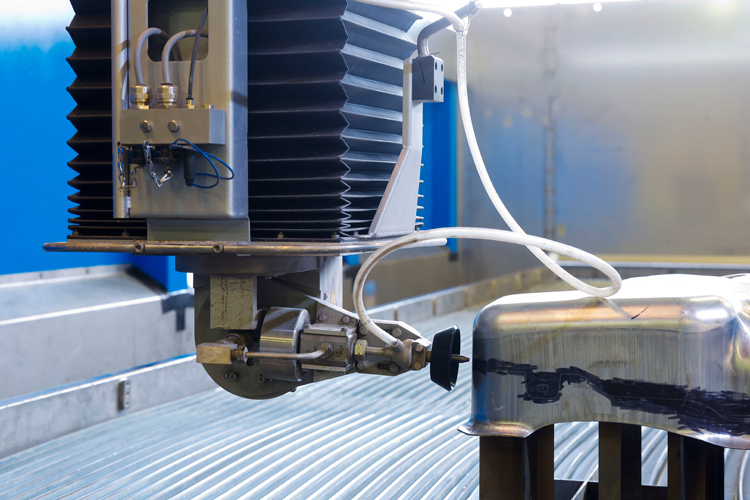 Designed materials such as Hardened Steel, Titanium, Kevlar and Carbon Fiber can easily be cut to precise form. Applications include trimming of molded parts into their final shape. The FiveX machine model is built with our most advance technology. An exceptionally stable design to safely and repeatedly perform high precision free form cutting of full 3D parts. 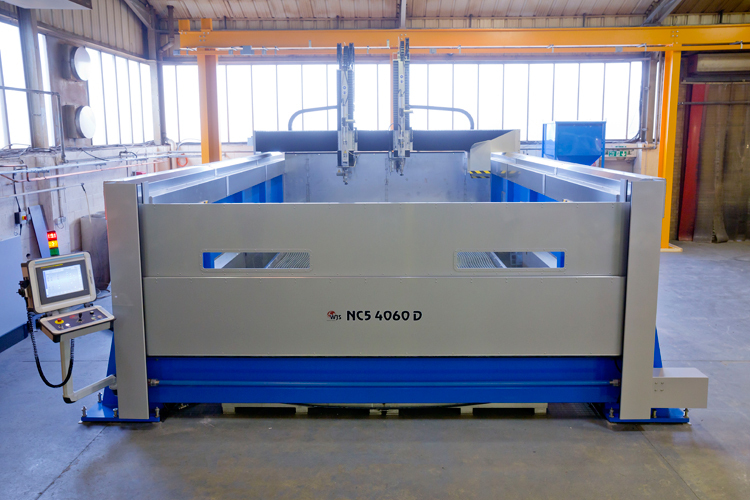 It has a 90° cutting angle in all directions thus the machine has full size walls and automated stainless steel frontal protection. An intelligent Probe Interface is integrated with a large library of pre-designed measurement cycles. Electronic abrasive feeders control and secure the cutting process. A second cutting head parked by one side, when activated the waterjet machine quickly turn into efficient multiple head cutting tool. It has one safe access door on each side of the machine for availability and easy operations. Inside there is on each side a handy operating panel and walking area for precise job setup, and spray nozzle with hose reel for quick and easy cleaning while loading and unloading. The 2D head is armed with drilling unit, height sensor and electronic abrasive feeders to control and secure the cutting process. 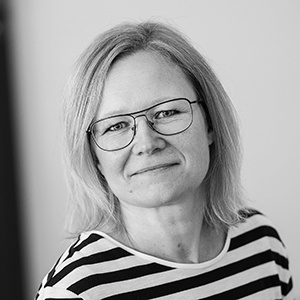 Another innovative solution from true craftsmanship – Devoted to performance. High safety walls on a Water Jet Sweden FiveX NC5 cutting system.